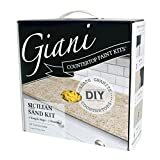 DIY concrete countertops are a sure way for you to transform your https://diyformula.com/diy–kitchen–cabinets/“>kitchen on a tight budget. Concrete is a solid and reliable material, which is why it is a fantastic option for countertops. Each of these tutorials below offers different techniques for creating the perfect countertop for your kitchen. Whether you are working alone or with a friend, each of these projects can be completed at home with very little experience. Some DIY concrete countertops, like this one, can be custom fitted around sinks or other structures. This tutorial shows how you can create your own countertop with a molded sink affordably. This eliminates the need of a drop in or inserted sink so there will be a smooth, clean finish. The rough edges finish off this https://diyformula.com/diy–kitchen–island/“>countertop nicely, adding a personal touch to the kitchen or bathroom in your home. This tutorial shows how you can create a custom designed concrete countertop on a budget. With the help of a few friends, you can create these DIY concrete countertops for all of the surfaces in your kitchen. This countertop requires you to make a template with some particle board that ensures the countertop can slide right into place once it cures. You can even color the concrete to your preference so it fits in with your existing decor. This concrete countertop is so easy to complete, you can do it by yourself in less than a day. This countertop project uses oxide powder to color the concrete before pouring, eliminating the need to paint on a color later. Once you pour the concrete into the mold and it cures, a wet sand is all you will need to smooth the surface and set it in place to use. 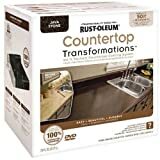 This solid countertop is attractive and fits in any indoor or outdoor kitchen perfectly. Unlike other DIY concrete countertops, this tutorial shows you how to remove your old countertop before placing in the new one. This project is rather easy to complete, and can completely transform an old and dated kitchen into a beautifully finished space. 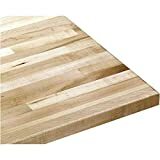 These countertops are molded in place, so you do not have to worry about lifting and carrying them in at a later time. Uniquely, this tutorial shows how to use the end molding for concrete to create a decorative finish. This tutorial shows how you can make use of a pour-in-place mold to create beautiful rustic DIY concrete countertops for your kitchen. Unlike typical concrete countertops, the pour-in-place method involves creating accurate cuts around the wall curves to create a seamless fit that is clean and attractive. Because this countertop is rustic, you will want to use a palm sander at the end to texturize the surface and create an attractive finish. This countertop tutorial shows how to upgrade your kitchen by incorporating beautifully finished concrete. Concrete is no longer a cold and boring slab finish. Now there are several textures, colors, and finishes you can apply to create a beautiful solid surface. Straight slab concrete countertops can be molded and laid in place, eliminating the need of disrupting your kitchen flow for several days. These DIY concrete countertops are unique in that they use concrete colorant and concrete stain to create a beautiful product. This inexpensive concrete countertop tutorial shows how you can create a solid surface on a budget. This countertop uses fiberglass shavings to add some texture and detail throughout the surface without the need for paint. Only a minimal amount is needed to create an attractive finish and it does not require any additional work than pouring regular concrete. This tutorial shows a frugal way to feather finish your concrete countertop surface. This is a very inexpensive option as it does not require a full concrete slab to be poured. Instead, you just paint several layers onto your existing surface and sand the concrete finish to add texture and details. This is an excellent option for individuals with older cabinets and those who want to look without adding all the weight. This tutorial shows individuals how to mix, pour, and finish their own countertop surfaces. This step-by-step guide provides information valuable to DIYers, even those without any experience. This particular project has multiple videos available, each highlighting different steps of the project more thoroughly. This tutorial highlights another simple concrete countertop project that involves applying concrete as an overlay on top of an existing surface. You will need to prepare the existing surface, remove any items, the sink, and hardware to create a smooth and clear surface to work on. This project, as it makes use of the existing surface, is cheaper, easier, and quicker to complete than laying an entire concrete slap. Each of these DIY concrete countertops tutorials make a simple project you can complete at home by yourself or with the help of a friend. All of these tutorials are designed to guide you through the process of creating a new life for your kitchen. For more kitchen inspiration you can also try our https://diyformula.com/diy–kitchen–cabinets/” rel=”noopener”>DIY kitchen cabinets suggestions. If you’ve tried any of the DIY tutorials above let us know how it worked out for you in a comment below!